A Year of Being Here: Marci Thurston-Shaine: "More Good News"
We try to print and live it right. new ink wet behind our ears. yet strong through many harsh winters. that touch the blue sky, the cloud. So often news is tangled and wrong. and tell me if I am wrong or hurtful. singing her song of eternity. and a voice capable of song. Bow your head, and listen to her. You and I are flowers of a tenacious family. and that I can take time to do it too, with you. "More Good News" by Marci Thurston-Shaine, from Engaged Buddhist Reader: Ten Years of Engaged Buddhist Publishing, edited by Arnold Kotler. © Parallax Press, 2013. 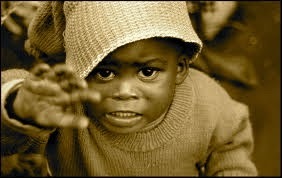 Photography credit: "Poor child," by IlaLepo (originally black and white). This poem is very similar to Thich Nhat Hanh's "Good News"
Was one poet the student of the other? 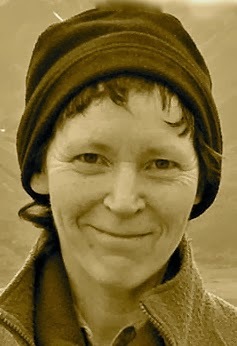 Marci was, in fact, a student of Thich Nhat Hanh for many years. She practiced deeply in the path of Mindfulness and was a shining example of humility and kindness.